One of the most special moments in a martial artist's life is when he or she recieves a new belt. 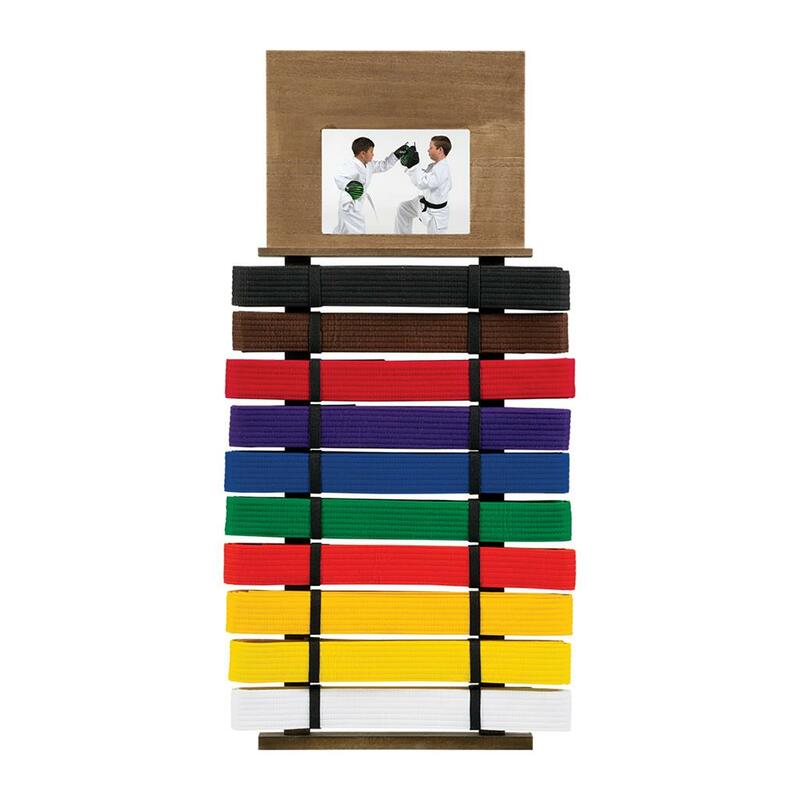 Capture the moment and preserve the old belts -- and all the memories they hold -- with this belt display. It holds up to 10 belts and features a built-on frame on top for a 5" X 7" photo. Overall, the Display is 13" wide and 31" tall. Wood construction.